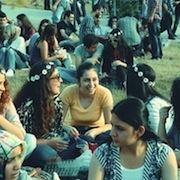 Kocaeli University is a bright door opening to the future of the society. Within all the academic fields it acts, Kocaeli University has been achieving the goal of producing effective knowledge that will contribute to people's lives and has been supporting the rapid use of the knowledge produced for the sake of all humanity. Thousands of young people who received education at our institution have a great input in its development. Kocaeli University became a member of the European Universities Association (EUA) in 2001. Having fulfilled the conditions for Erasmus Program in 2004, Kocaeli University signed the "Magna Carta Universitatum Charter" in 2006 and was awarded "Extended Erasmus University Charter" (EEUC), in 2007 and in 2011 Kocaeli University was granted "Diploma Supplement Label". Presently, Kocaeli University is among the leading state universities with 1385 lecturers, 788 research assistants, 1639 administrative staff and with approximately 87000 students in 18 faculties, 2 schools, 21 vocational schools, 1 State Conservatory, 3 institutes. Keeping ongoing development in education and training among its prior objectives, Kocaeli University follows the dynamics of changes in the field of higher education and brings continuity to reconstruction. 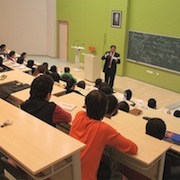 With regard to this aim, the primary concerns in the academic development of Kocaeli University are the "Diploma Supplement Label" and "European Credit Transfer and Accumulation System Label", which accelerate the gain of an international qualification for academic programs, strengthen the cooperation with European Higher Education, enable the integration of transparency principle with national and international societies, facilitate the recognition of academic degrees, promote students' academic progress, and support mobility for both students and academic staff. By sharing its academic programs with national and international society via this information package, Kocaeli University will always follow the objective of being "from a knowledge transferring university towards a knowledge producing university" adhering by the universal values.